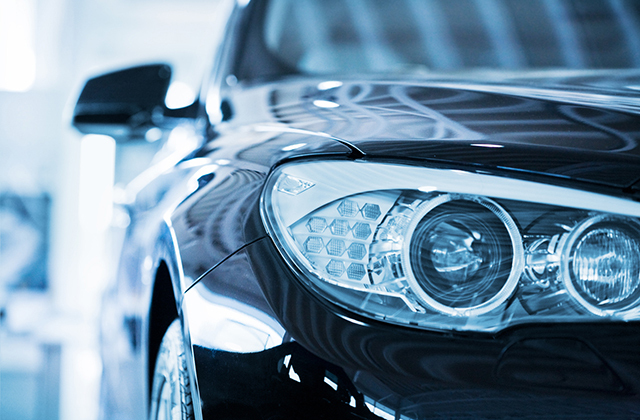 Stone chips detract from the appearance of your car but also can provide toeholds for rust to begin. You may not be able to make your car’s finish look showroom new but, with a reasonable level of competence, you can make your car look much better without resorting to an expensive trip to the body shop. So prevent the pain and keep your car looking newer longer use a car paint protection. Duplicolor has simple touch up kits that you can buy at your local auto parts store. You can also buy more involved touch up kits and supplies online. For example, the kit I bought from from Paint Scratch came with primer, color VIN matched paint, clear, paint thinner and a bottle of rubbing compound. These kits are more expensive and have more steps, but are they worth the extra money and time? I will evaluate which gets the best results. Note: This DIY informational article presumes you have the necessary skills to properly and safely use the materials and methods shown. To ensure getting the correct shade of paint, the paint code for your vehicle needs to be identified. On most modern cars since 1983, this information may be found on a sticker on your door or elsewhere. To be absolutely sure of a match, the paint vendor may also need your VIN (Vehicle Identification Number) that is also on your door sticker and your VIN plate on your dash. Preparation is the key to getting good results. You’ll need very fine 1000-grit, 3M Wet-or-Dry sandpaper, various craft sticks, cotton swabs, splinter tweezers, glue dots, various paper punches. All except the tweezers were found at my local craft store. You want to keep sanding outside the boundary of the chip to a minimum. Use the punches to cutout small sandpaper circles and glue them to the craft sticks and dowels. I found a $1.99 bag of wooden axles that had a nice rounded end that fit larger chips. First, wash the car clean of dirt with warm soapy water, rinse thoroughly and dry. Next remove any wax, grease and silicone that will prevent the paint from adhering. Acryli-Clean by Ditzler is available at professional body shop stores. For very small chips, the Duplicolor paint pen was the best choice. The small tip allowed easy filling of the divot. I found it best to fill slightly proud of the surface to allow for shrinkage during drying. Any slight excess can be wet sanded down and then rubbed out. Most stone chips are probably on your hood leading edge. To prevent runs, you’ll find lifting the hood, until the chip is horizontal to the ground, will keep the paint centered while drying. For medium size chips the brush applicator was needed. I first cleaned out loose debris and paint with the sharp tip tweezers. I applied the primer with the applicator brush as directed. It’s important to read and follow the instructions. Your results may vary depending on your level of skill, materials used, color and type of paint. After the primer cured, I applied the paint. The result wasn’t too bad from about 6 feet away. Wet sanding, application of the clear, wet sanding again, then rubbing out improved the result to about 3 feet depending on your eyesight and amount of sunlight. You’ll have to decide how much work you want to invest vs the ever diminishing results. Click here to invest on your paint protection. ← How Much Should I Pay for Clutch Repair?